Discussion in 'Blu-ray and UHD' started by Robert Harris, Nov 7, 2018. Yohan Pamudji, B-ROLL, DavidJ and 8 others like this. Great to hear this has a nice transfer- thank you for the review and hope the sequels are all just as good! Rambo 2 is even better, with cinematography by Jack Cardiff. B-ROLL, Blu_rayfan66, ghostwind and 1 other person like this. Looks like I shall be buying this ( in the set) again one final time as its my most favorite Stallone movie although Rocky is not far behind. Do you know if both of these have a new Blu-ray from the same master used for the 4K? These will be $7.99 each during Best Buy's Black Friday sale. Yohan Pamudji, Adam Lenhardt, Dave H and 3 others like this. Just curious, where did you see this? Best Buy's Black Friday ad is up on several sites and no mention of these titles. Most UHD titles on the ad are $14.99. I'll pick up First Blood and Halloween from this list. Ant Man & The Wasp will round out my purchases this year. I'll have to remember not to buy Captain Marvel or Avengers 4 until BF 2019. I still haven't gotten around to my release date purchases of Black Panther and Infinity War. Yohan Pamudji and atfree like this. It seems that the production company spared no expense on the sequel. Tell that to Cosmatos. He wanted to shoot First Blood II in Thailand. Kassar and Vajna forced him to do it in Acapulco instead to save a buck. Where might one believe the budget would have landed with a Thailand shoot? And what might have been gained? The interview is a great read and there is an opportunity for us to submit questions to Mr. Morrell (Robert already posted a reply from DM to my question). B-ROLL, SAhmed and George_W_K like this. The Blu-rays included with the first 2 aren't duplicates of the ones from years ago - they're different. I would assume they use the new master, but I can't say for sure. I just know that they're not the same BDs from 10 years ago. I wasn't aware of a 2015 release and would guess that it was just a reissue. There don't seem to be any reviews of it from sites like mine. One element that supports the idea the BDs are new comes from the opening menu. When both the BD and the 4K boot, they demand you choose a language. IIRC, the language choices are English and Spanish. There are non-US components, as some of the extras clearly come from a French release. For instance, a featurette about the restoration is called the "Restauration"! The only language option should be "Pain"
I recall an interview with Kurt Russell regarding Tombstone where he said he ghost directed the film and Sylvester Stallone told him George P Cosmatos was the director to hire for that. 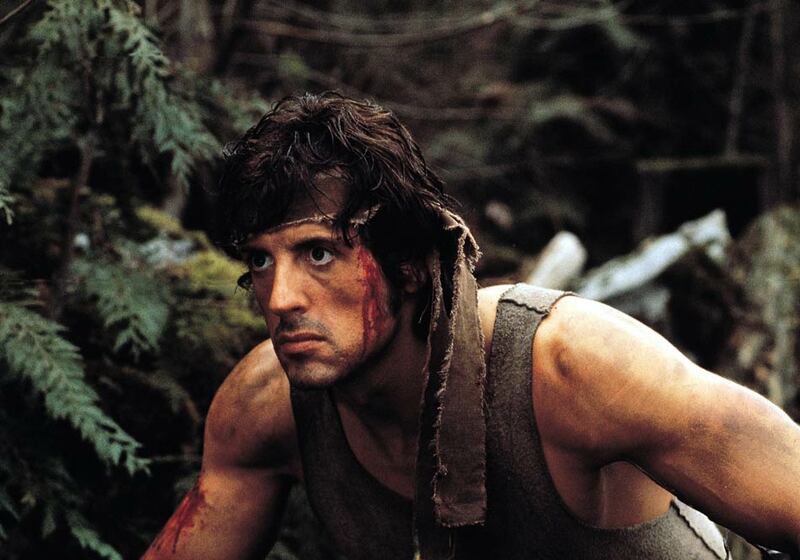 Bearing that in mind, could it be that Stallone ghost directed Rambo: First Blood Part 2 and maybe Cobra as well. Seems a reasonable deduction although giving instructions behind the scenes is one thing I feel Cosmatos still has to convey those instructions to the crew and thus is still directing things. "A good body with a dull brain is as cheap as life itself"
"Maybe it's a sheep dog... let's keep going"
I believe your assumption is correct. The UHD BD and "new" BD have very similar traits. It has long been rumored that Stallone actually directed Cobra, with Cosmatos just acting as a figurehead. I haven't heard the same claimed about Rambo, but I'm sure it's possible. Kurt Russell confirmed that he directed the majority of Tombstone after the original director, Kevin Jarre, was fired. As you mention, he claimed that Stallone recommended Cosmatos to be the credited director.